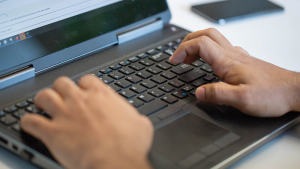 Ever wonder why you can’t monitor application performance and analyze related process log files using the same tool? Dynatrace now makes this possible! We’re proud to introduce some seriously hot new functionality: Dynatrace log analytics. 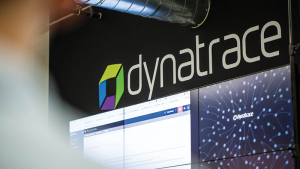 This exciting free addition to Dynatrace analytics extends your monitoring reach well beyond traditional APM data sources. Log analytics helps DevOps, Development, and QA teams perform their jobs quickly and efficiently. With Dynatrace log analytics you get direct access to all log content related to your mission-critical processes. 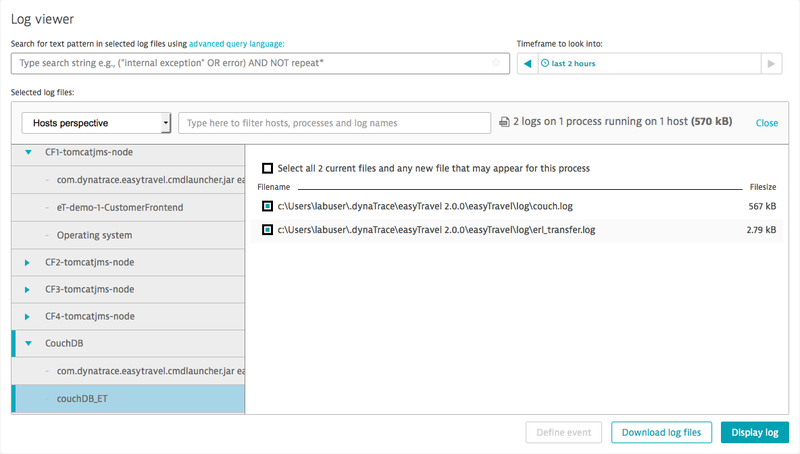 You can quickly find interesting log messages and automatically correlate those messages with performance problems that are detected by Dynatrace. Log messages can be filtered based on keywords or time range. Multiple log files can even be analyzed simultaneously—even when those log files are stored on different machines. Open the Dynatrace menu and go to Settings > Monitoring > Monitored technologies. Scroll down and enable the Log analytics switch. For details on setting up log analytics for existing installations using a configuration flag, see How do I enable log analytics? Logs can contain sensitive information that is often not appropriate for viewing by all users. By default, non-admin accounts can’t view log file content. To enable log content viewing privileges, have your Dynatrace admin grant the View logs security permission to authorized users. Fasten your seat belt—it’s time for your test drive! Dynatrace log analytics automatically discovers all log files on your monitored hosts and processes. Relevant log files are listed in the Log files section of each Host and Process page. Select a single log file for analysis or click View all log entries to drill down into log file content using the Dynatrace Log viewer (which can also be accessed by selecting Log files from the Dynatrace menu). The Log viewer page provides various filters to help you narrow down results and focus on the log content that’s most important to you. From here you can search through log files for relevant strings, download entire log files to disk, or add detection rules to alert you to certain future log events. 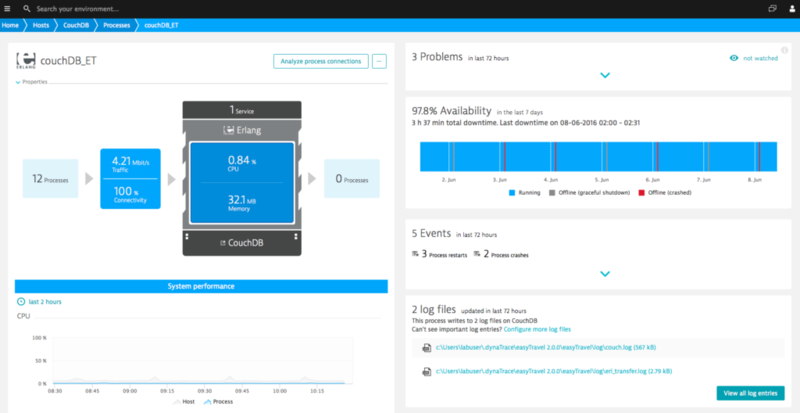 When Dynatrace detects a problem in your environment that has a root cause related to one of your monitored hosts or processes, an Analyze process logs link is displayed on the related Problem page. Click Analyze process logs to view log content that’s relevant to the detected problem. All problematic process log entries that appeared during the problem time frame are then collected and displayed for you. In this way Dynatrace gives you direct analysis to problem-related log content, enabling you to quickly find all problematic messages and understand the root causes of problems detected in your monitored processes. You can even set up a new detection rule for identified log content problem patterns. 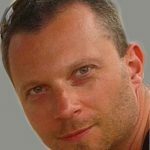 In this way you can instruct Dynatrace to include relevant log-content matches in its automatic root cause analysis the next time the same problem is detected. From log content access, to powerful and easy-to-learn query filters, to contextual log content drilldowns, to the creation of custom detection rules, Dynatrace log analytics enables you to perform your daily tasks faster, more proactively, and with more fun! Stay tuned for more upcoming blog posts related to special log analytics use cases.